This consists of 1-page explanation and 3-part exercise. A prior explanation about difference between "Present Perfect" and "Simple Past" is needed. 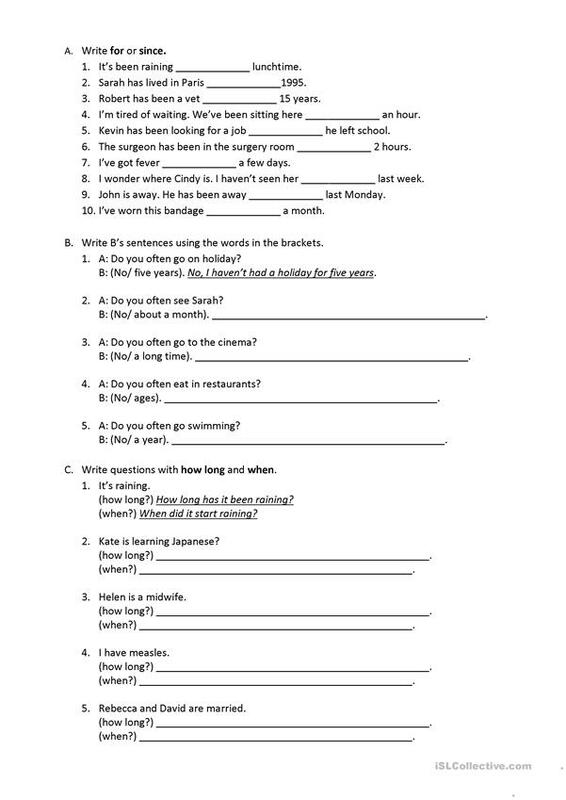 In part A, students have to fill in the blanks with "for" or "since". In part B, students should make present perfect sentences in negative form. 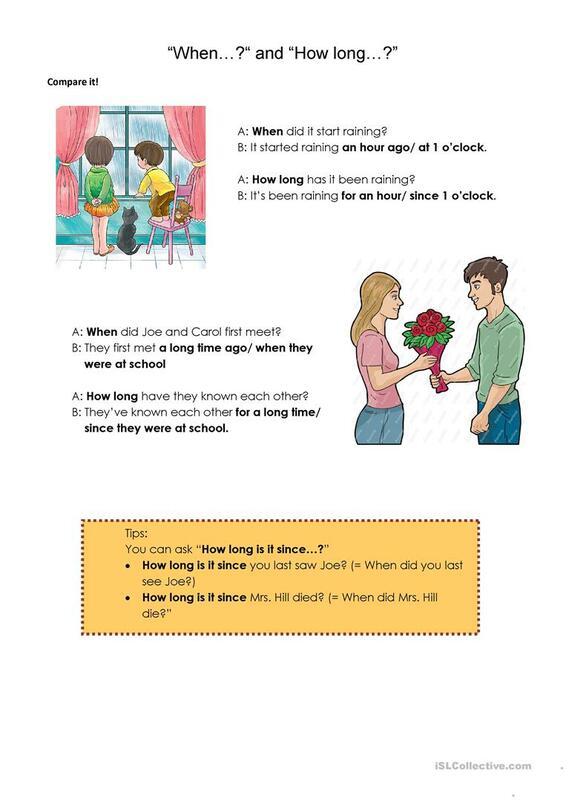 In part C, students have to make sentences using both "when..?" and "how long..?". The present downloadable handout is a great resource for elementary school students at Elementary (A1) level. It is a useful material for consolidating Present perfect or past simple tense in English, and is useful for working on your groups' Writing skills. Tesa is from/lives in Indonesia and has been a member of iSLCollective since 2012-07-12 09:21:49. Tesa last logged in on 2019-04-11 07:22:45, and has shared 9 resources on iSLCollective so far.